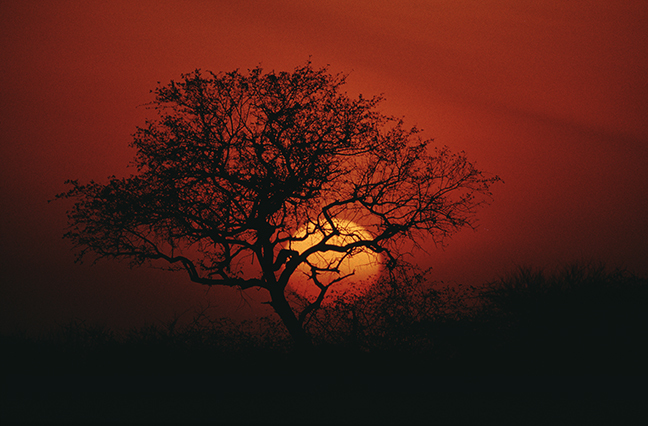 The sun sets in the Linyanti Concession over the Savuti Channel, dry for almost 30 years until it started flowing again in 2008. A Common Zebra feeds at sunrise in the Masai Mara. 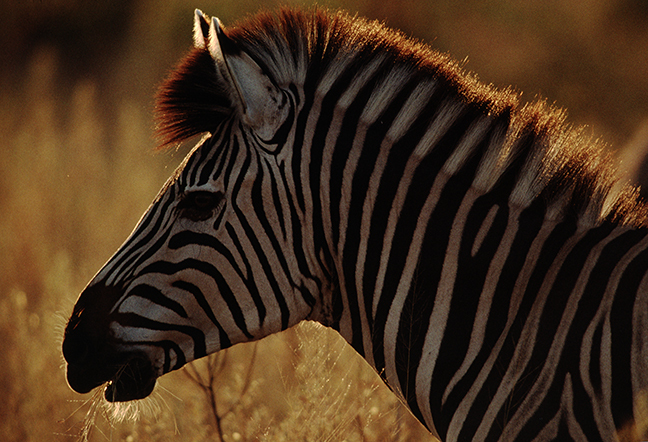 Every zebra has a unique stripe pattern. Recent studies show that Zebra embryos are completely black and the white stripes appear at the last embryonic stage, thus, to answer the age-old question, zebras are black with white stripes. 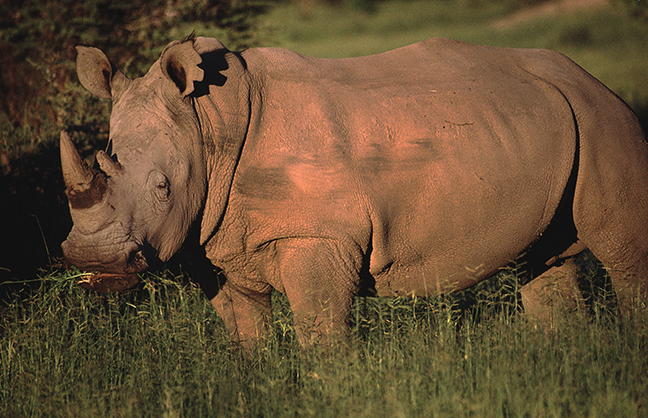 A reintroduced White Rhino grazes in the Moremi Game Reserve in Botswana. By 1996, only six White Rhinos remained in the Reserve, due mostly to poaching in support of the illegal trafficking of ivory. 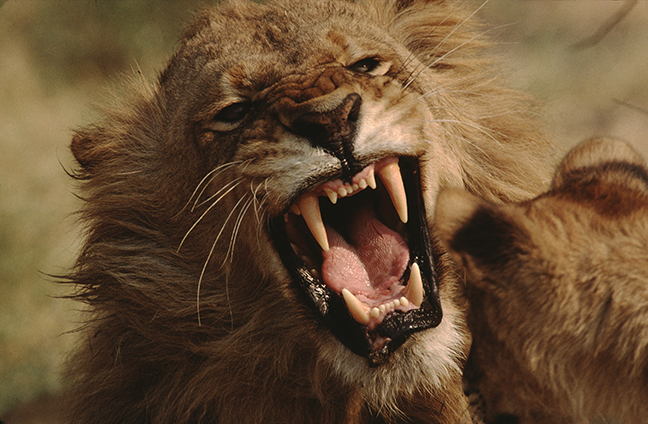 A male lion on Chief's Island in the Moremi Game Reserve reacts to being awoken by one of his cubs. Cubs face high mortality, especially males. When they begin to reach sexual maturity around age two, the older males within the pride drive them out and they have to find a new territory or take over another pride. 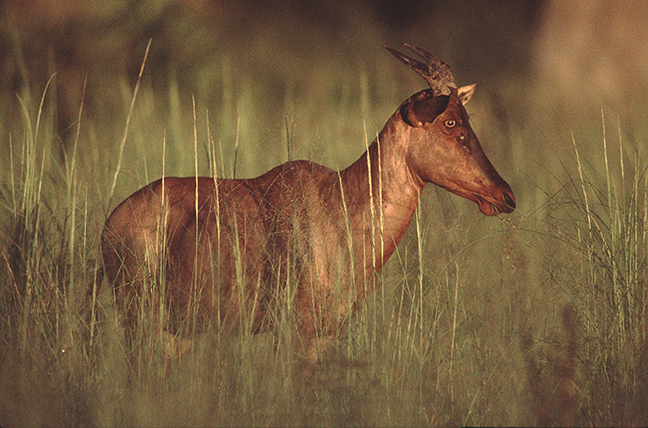 A topi grazes in the Serengeti National Park in Tanzania. Topi are one of the fastest African antelopes, able to reach speeds in excess of 50 mph when avoiding predators. 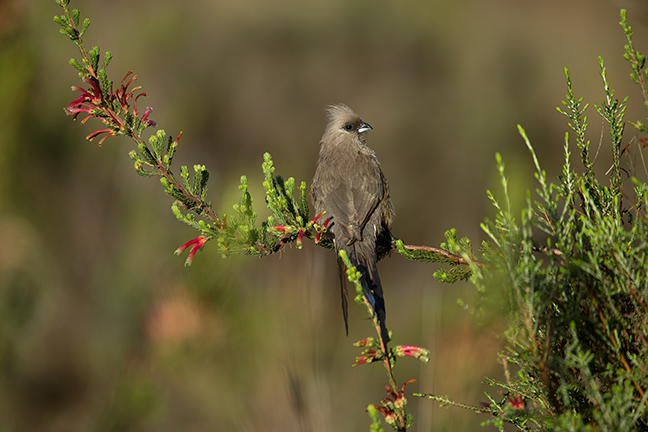 A Speckled Mousebird rests on a Striking Fynbos in the Western Cape of South Africa. Fynbos is the smallest of the six floral kingdoms in the world and there are more than 9,000 species of fynbos in the Western Cape. 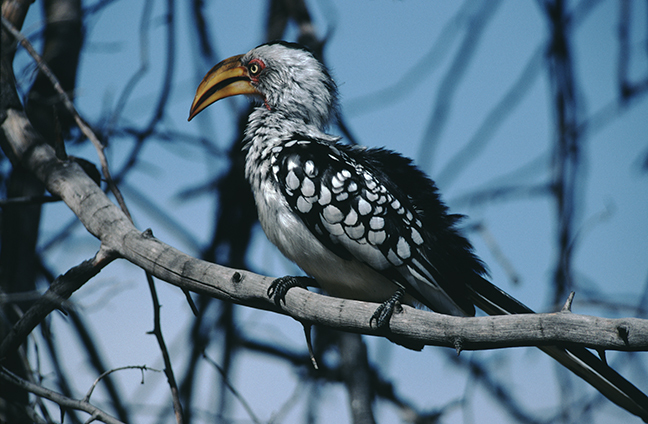 A Southern Yellow-billed Hornbill roosts in a tall tree in the Selinda Game Preserve in the Okavango Delta region of Botswana. 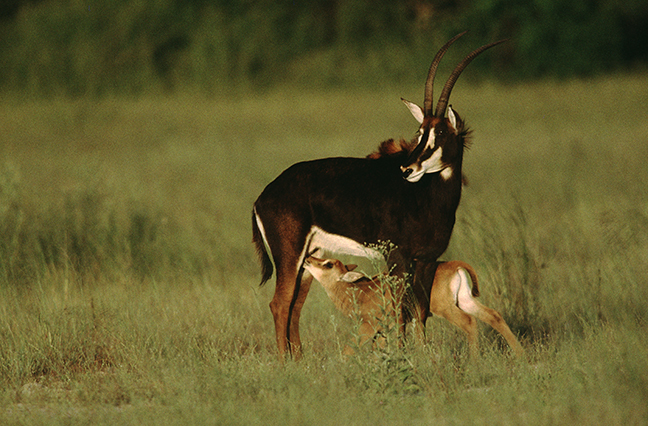 A Black Sable calf nurses in the grasslands of Vumbura in northwest Botswana. 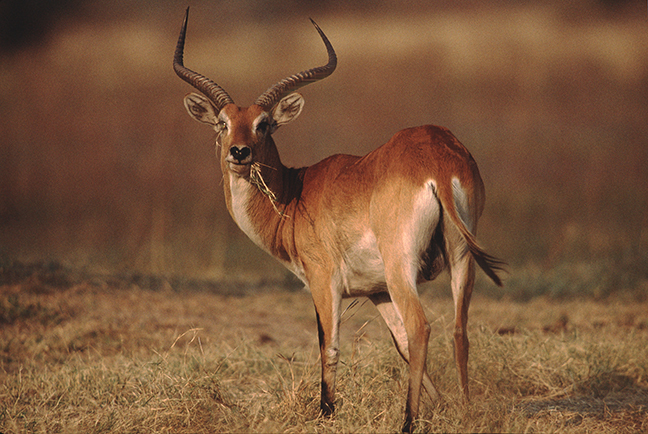 The favored grassland habitats of Sables has been greatly reduced by agricultural development throughout the region. 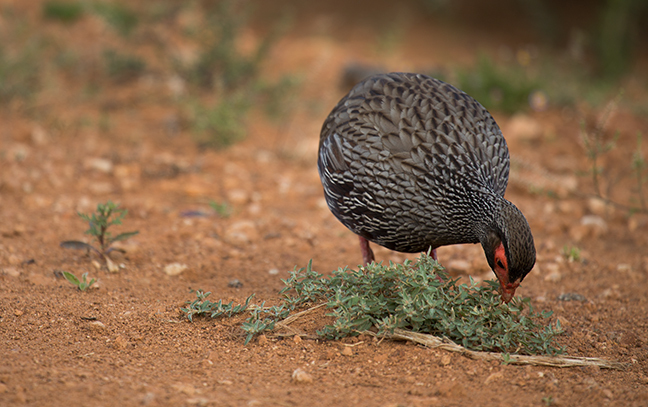 A Red-necked Spur Fowl feeds on scrub brush outside the Ruiterbos Nature Reserve, just north of Mossel Bay, South Africa. A Red Lechwe buck grazes on semi-aquatic grasses on Chief's Island in the Moremi Game Reserve on the eastern edge of the Okavango Delta in northern Botswana. A young Black Vervet Monkey scampers down a tree trunk in an acacia woodland habitat in eastern Africa. 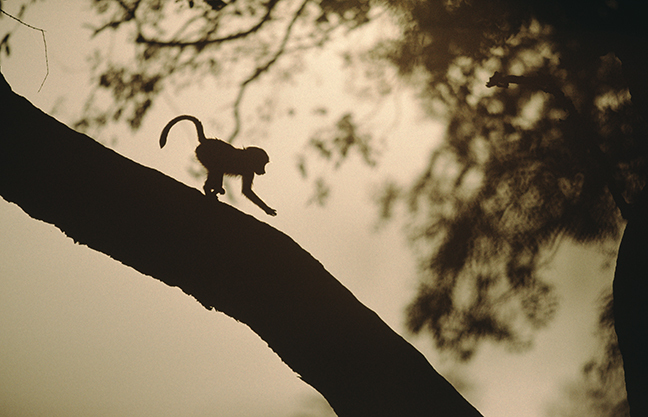 Allomothering, non-maternal infant care, is particularly common among Africa's vervet troops. A Malachite Kingfisher lights on a branch over a pond in the Okavango Delta region of Botswana. 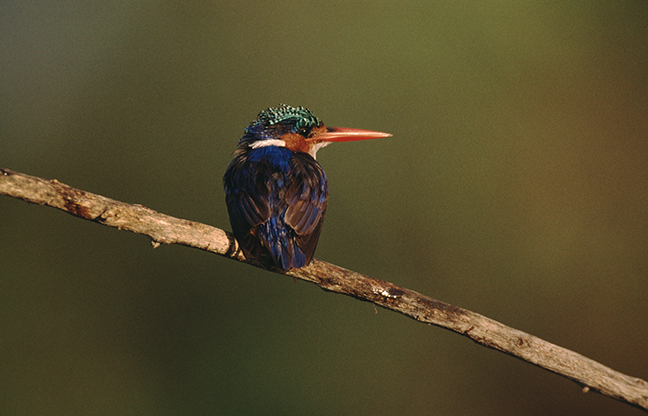 Kingfishers feed on small fish, aquatic insects and crustaceans. 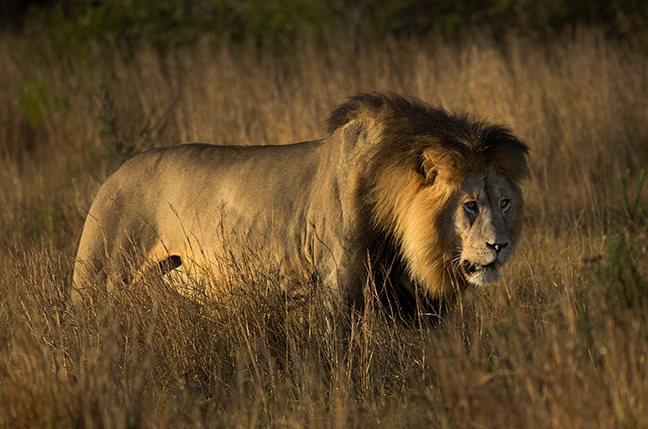 A male lion in the Gondwana Game Reserve in the Southern Cape region of South Africa traverses the grasslands of the refuge in search of the females from his pride. 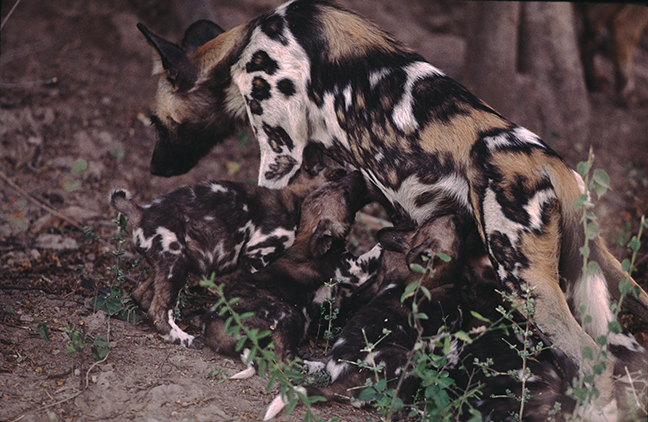 A female African Wild Dog nurses a litter of pups on Pom Pom Island at the headwaters of the Xudum River system. Wild Dogs are highly successful hunters with nearly 80 percent of hunts ending in a kill. They are an endangered species and less than 7,000 adults are known to exist in the wild. 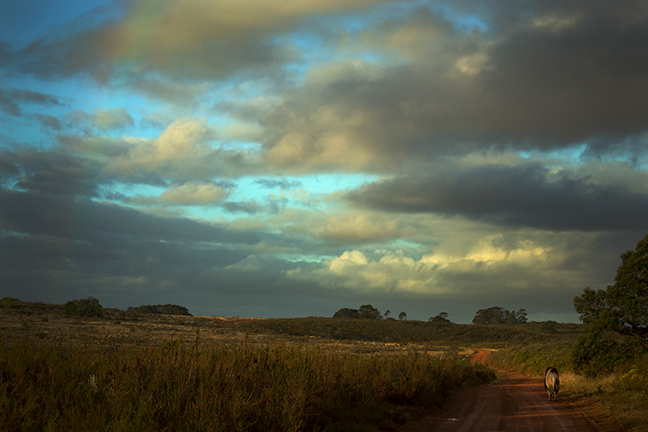 A male lion walks down the road beneath a fading rainbow following an afternoon storm in the Gondwana Game Reserve near Mossel Bay, South Africa. 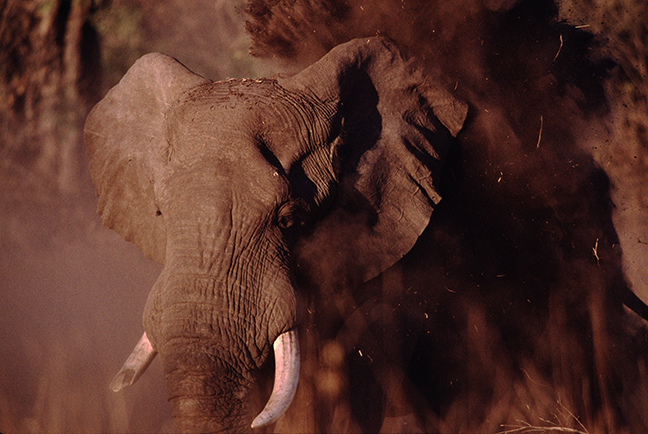 A young bull elephant in musth in Addo Elephant National Park displays highly aggressive behavior. Musth is a periodic condition accompanied by a large rise in reproductive hormones. Introducing older males into elephant populations has been shown to prevent younger males from entering musth. A leopard rests in a tree on Chief's Island in the Moremi Game Reserve. 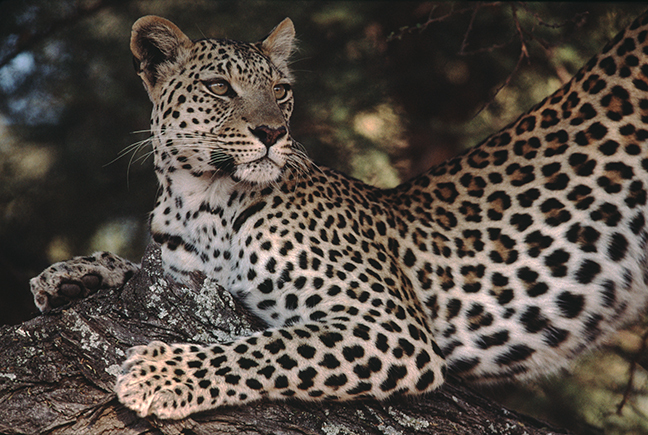 Leopards are nocturnal and often rest in trees during the day. After hunting, they often drag their prey onto tree branches to protect it from other predators and scavengers. A group of lionesses heads out for an evening hunt along the Savuti Channel. 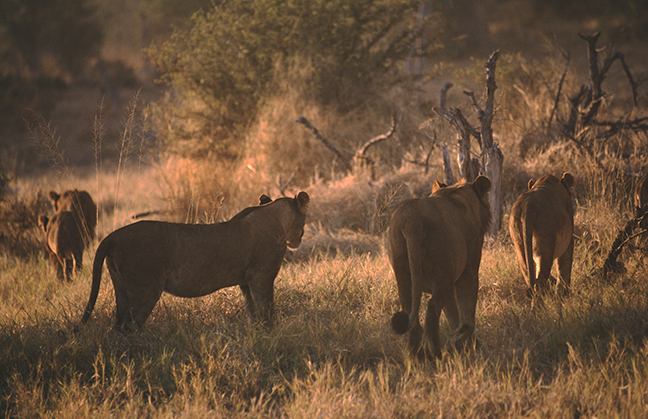 Hunting often involves a standard formation with some lionesses circling behind the intended prey while others lay hidden in the grass waiting for the prey to be driven toward their hiding place.